Two case studies are very much work-in-progress and further investigation, particularly through test excavation and archeometric analyses, are needed to extend the quantity and quality of the archaeological data gathered so far. 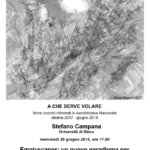 To a degree it would be premature to recommend that the work described here has establishing a new paradigm for landscape investigation in Italy, at least until these further studies have allowed a ‘critical mass’ of data to be collected. In the meantime it is simply worth mentioning that the application of these new methods in large-scale surveys in Britain has radically transformed archaeologists’ views about almost every aspect of the past within the areas concerned (Powlesland 2009; Neubauer et al 2013). 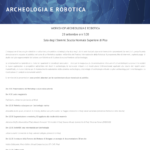 However, the first results from the two study areas described in this paper have borne out the potential effectiveness of this approach to rural as well once-urban landscapes in Italy, and by implication in much of the Mediterranean area, showing clearly that the concept of the archaeological continuum is real, and is within our grasp even in the rather different environmental and archaeological conditions of the Mediterranean world. Indeed, the Emptyscapes and other research projects have demonstrated over the past few years that archaeological features are potentially present everywhere in the Mediterranean area (Johnson and Millett 2013; Campana 2013); we can now see that an absence of detectable human activity is almost certainly the exception rather than the rule (Broodbank 2013). In relation to both case studies it is worth pointing out that previous research strategies have been almost exclusively reactive, with a focus on the known or semi-known through the use of methodologies which reveal only a limited part of the potentially recoverable evidence. Archaeological distribution maps, particularly for the Rusellae area, consisted until very recently of a collection of dots within a sea of ‘emptiness’. Indeed, in most cases the empty spaces seemed to be in the majority. If we can overcome this limitation, as has been demonstrated, we will be able to open up completely new opportunities to confront a wide range of the archaeological and historical questions. The capacity to uncover and document previously inaccessible evidence is of importance for two key reasons at least. The first of these is essentially archaeological. The identification, for instance, of structured medieval settlements (ditched-enclosures) on the lowland around Rusellae and of the whole internal structure of the ancient city at Veii, cannot be dismissed as the simple addition of dots or detail to the mapped record of the areas concerned. At Veii the information derived from geophysical prospection has opened up new prospects for targeted archaeological research in the future while in the Rusellae area the newly discovered ditched enclosures represent a form of settlement previously unknown in lowland Tuscany, perhaps first appearing late in the early medieval period and then proliferating during the central Middle Age (Settia et al 2013; see also Marasco 2013 regarding the explorations at Scarlino). Archaeological concepts developed in recent decades of a largely uninhabited Tuscan countryside in the formative centuries of the medieval period (Francovich, Hodges 2003) have thus been thrown open to further discussion. Speculation has also been invited on the role that the ruling classes or the local communities of the countryside played in the inception and development of this kind of lowland rural settlement. That said, we must clearly wait until the results from this continuing survey work have brought together a ‘critical mass’ of high-quality data that will help us towards a better understanding of the Italian landscape in the longue durée. Given that exactly the same pattern of advance in data capture and archaeological understanding has ensued wherever these new techniques have been applied in the UK and other parts of northern and central Europe, it is a reasonable to argue that the same partnership of traditional and innovative methodologies ought to employed in Italy too, helping us to examine and possibly revise present perceptions about the content and progressive transformation of the Italian countryside.